It is known for its Art Deco hotels. 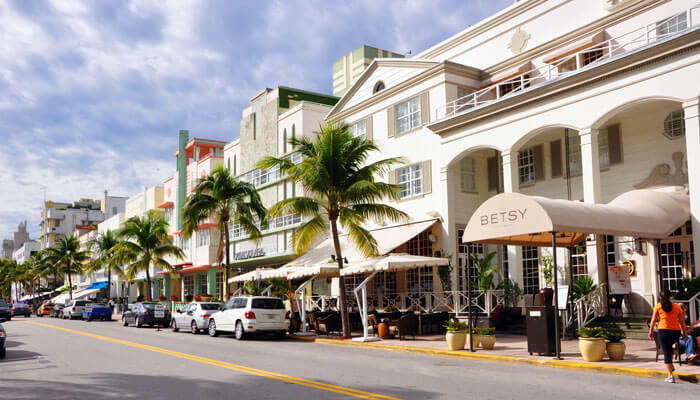 Among the most popular hotels there’s the Colony Hotel Known as the most photographed art deco hotels, which is a 1939 boutique-inspired hotel and has made numerous cameo appearances in scores of movies, TV shows including Dexter. Another popular art deco hotel is Clevelander hotel, aside from its hotel services, it consists of an indoor sports lounge as well a dance floor and pool area on the ground floor and a complimentary roof-top lounge. Ocean Drive is also the location of the famed Versace mansion, one of the most photographed houses in North America. 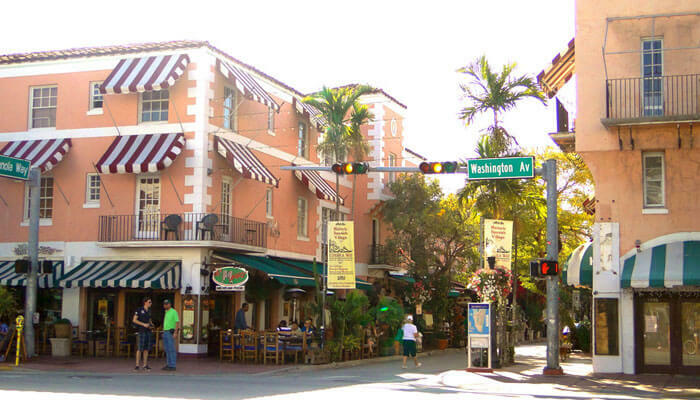 The street is the center of the Miami Art Deco District, which is home to about 800 preserved buildings. Streamline Moderne evolved from the Art Deco style, and dominates the street. The street has a magazine named after it, Ocean Drive magazine. British easy-listening duo The Lighthouse Family released a single entitled “Ocean Drive“, which reached #11 on the UK Singles Chart. Grand Theft Auto: Vice City also based the setting on Miami and has a replica of Ocean Drive with the exact same name.